a. Make sure the device is turned off, and there is more than 10% of battery life available.Press the combination keys of [Power key + Volume up Key+ Volume down Key] for 3~5 seconds. b. 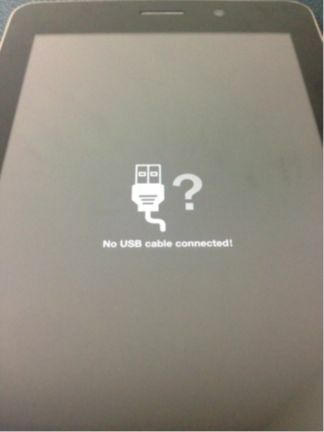 Release when you see the following No USB cable connected. (Pic 1) [now can stop press Power key + Volume up Key+ Volume down Key]>> Press and hold [Volume up Key+ Volume down Key] once again to enter Update Mode. [Power key] once again>> the device will reboot itself and begin factory reset process. 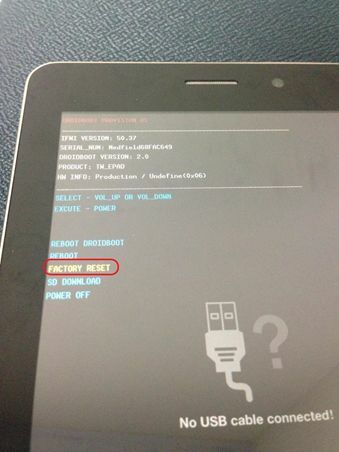 0 Response to " ASUS Fonepad (ME371MG) hardware reset"